OK, so I’m pretty ashamed to say I hadn’t actually heard of Laurel until quite recently but I’m so glad she is on my radar now. 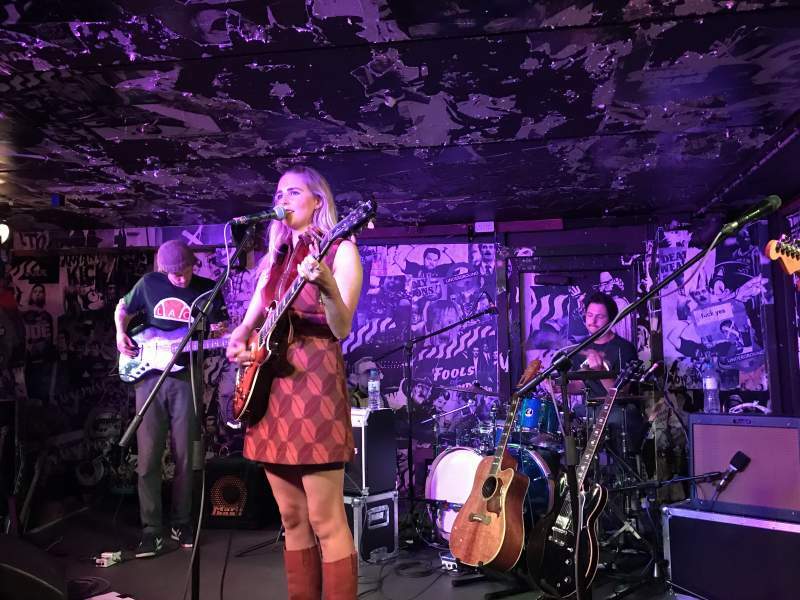 The crooning songstress has been making waves since the release of her debut album Dogviolet and it was great to see Newcastle on her list of UK tour dates. Support act Another Sky were a real treat. Packed with gorgeous atmospheric soundscapes boasting mystical synths and dramatic riffs, Another Sky totally wowed with their similarities to Everything Everything and Radiohead. Frontwoman Catrin Vincent switches her vocal style from dulcet tones to husky rasps which work perfectly against the dark, progressive instrumentals. Very impressed. After that awesome set, Laurel took to the stage with her guitar and band in tow to showcase work from her latest album alongside older tracks. There’s an old soul about Laurel that first attracted my attention, and she bears a striking resemblance both vocally and musically to Lana Del Ray. Country music undertones occasionally seep through her guitar-led tracks as riffs soar and swirl around dramatic percussions. The funky Lovesick provided foot-tapping beats with explosive choruses between delicate verses and Same Mistakes boasted a rockier edge with lush crescendos. A stunning solo performance on acoustic guitar of tracks including Sun King and Empty Kisses offered an insight to Laurel’s powerful vocals and exceptional songwriting. A stunning performance from an artist that I imagine is going to go far. NEWS: Murray A Lightburn @ Think Tank? NEWS: Northshore @ Think Tank?